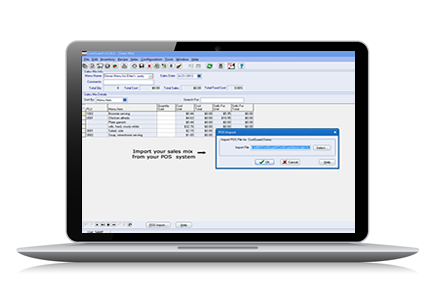 CostGuard POS software interface reads the sales mix from your POS directly into Sales Analysis for reporting. Perpetual depletion (menu explosion) additionally requires: Inventory and Recipe Modules. 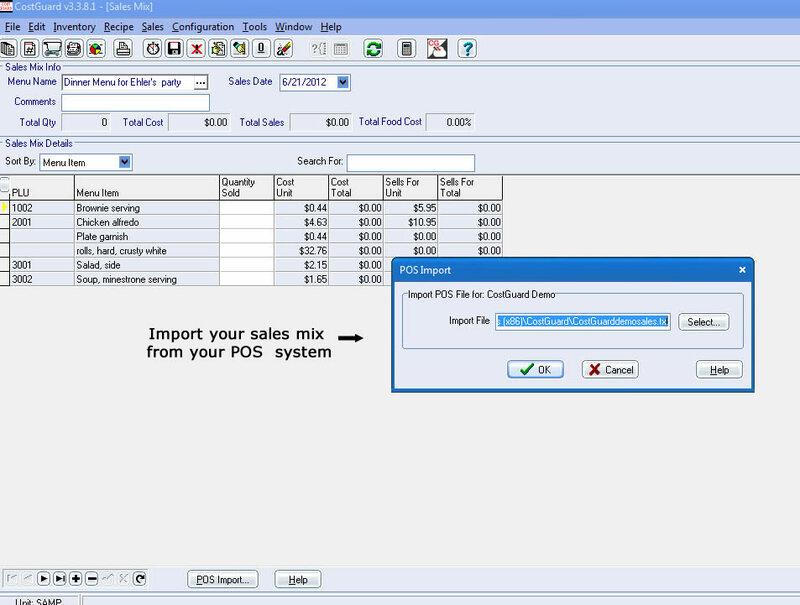 Import your sales mix directly from your point-of-sale system. This feature will connect with the Inventory Module, allowing you to capture data from the POS to deplete Inventory. CostGuard can even import the extended sales dollars, so meal period price changes and comps are accounted for (available if your POS system exports this information). Costguard. Great Support, relatively inexpensive. Simple integration to Micros Menu item sold files. Please contact your point-of-sale dealer for their capabilities, or have them call us for interface details. If your POS dealer is not listed above that’s no problem. CostGuard is very flexible. You can easily create your own definition file to import your POS data. See how it is done.